In blender or food processor, place strawberries. Cover; blend on high speed 30 seconds or until smooth, stopping to scrape down side. Pour puree through finemesh strainer into large bowl, pressing with back of spoon; discard solids. Add buttermilk, sugar and vanilla to strawberry puree; stir until well blended. Cover; refrigerate 1 hour. Pour mixture into 1 1/2-quart ice-cream freezer and freeze according to manufacturer’s directions. Garnish individual servings with mint and sliced strawberries. 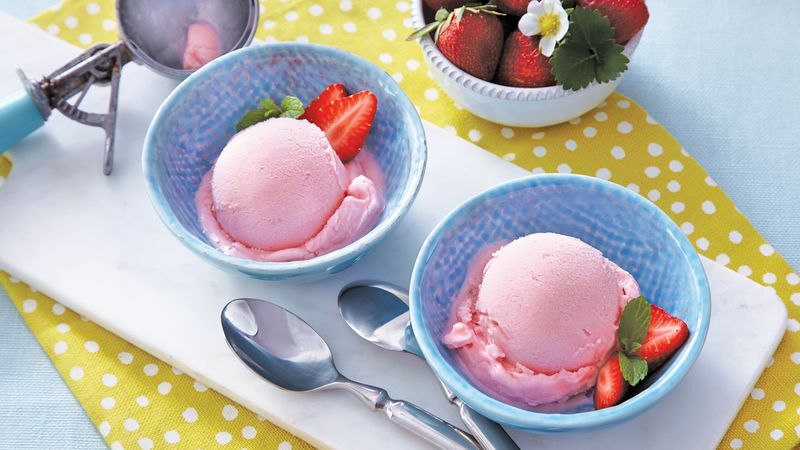 To Freeze: Freeze sherbet in freezer container up to 1 month.